Thank you all for another amazing year of friendship and support. There were some big milestones in 2018 - we hit nearly 70,000 YouTube subscribers, I had 4 symphony performances with 4 different pieces (something I've never done before), and I moved all of my online video courses to a new and improved platform. As a small way of saying "thank you" for your encouragement and friendship, I put together a free piano technique training, featuring my #1 tip to fix any technical issue. Now, that's a bold claim, but I promise you...it works! I learned it from my brilliant teacher I studied with at the University of Michigan for my doctoral studies - Dr. Logan Skelton. I hope you enjoy it and that it helps you take your skills to the next level this year. As an added bonus, I've included 3 free tracks from Lindsey's and my latest album, Sleigh Ride For Two. Have a wonderful new year, and I wish you all the best in your practice sessions! Use coupon code spring50 for 50% off all digital items on Josh's site! One of my favorite podcasts I frequently listen to for inspiration isThe Tim Ferriss Show. The whole premise of his show is "deconstructing world-class performers". He conducts long-form interviews, usually ranging from 1-2 hours. Even if I have absolutely no interest in the subject he is discussing, I always take away nuggets of wisdom as he probes the minds of the world's greatest athletes, businessmen, magicians, actors, musicians, and more. On a recent episode, a particularly tragic one I might add, Tim interviewed Terry Laughlin, a world-class swim coach, who recently passed away. From the time Tim interviewed him to the time the episode was released, Terry had a stroke, after being in the hospital for cancer treatments. Even after the stroke, as he struggled to talk, he was being interviewed by his daughters about things he wanted to convey to his swim students in his renowned swimming course, Total Immersion. It was touching to listen as this man, who was days away from death, was still so passionate about sharing his learning techniques, mindset hacks, and life lessons with his daughters, who would ultimately pass on the audio files to Tim Ferriss to publish as an addendum to the podcast. When you're swimming in choppy or turbulent water, it is critical that you stay calm. The choppier the water, the more calm you must find within yourself. The outside forces must not have an impact on your inner peace. Greater turbulence, greater inner calm." As I prepare the Rachmaninoff 3rd Concerto for a performance in January, I must constantly remind myself of this - outside turbulence, inner calm. The 80-page treacherous beast of a piece is one of the most passion-filled masterworks I've ever had the privilege of playing. It comes with a large set of stressors that can challenge even the most seasoned pianist (which I'm not calling myself). When practicing the most difficult passage, whether it is technically challenging or a nightmare to memorize, I do my best to abandon doubt, and focus on what really matters...the beauty and vitality that is present in every note. 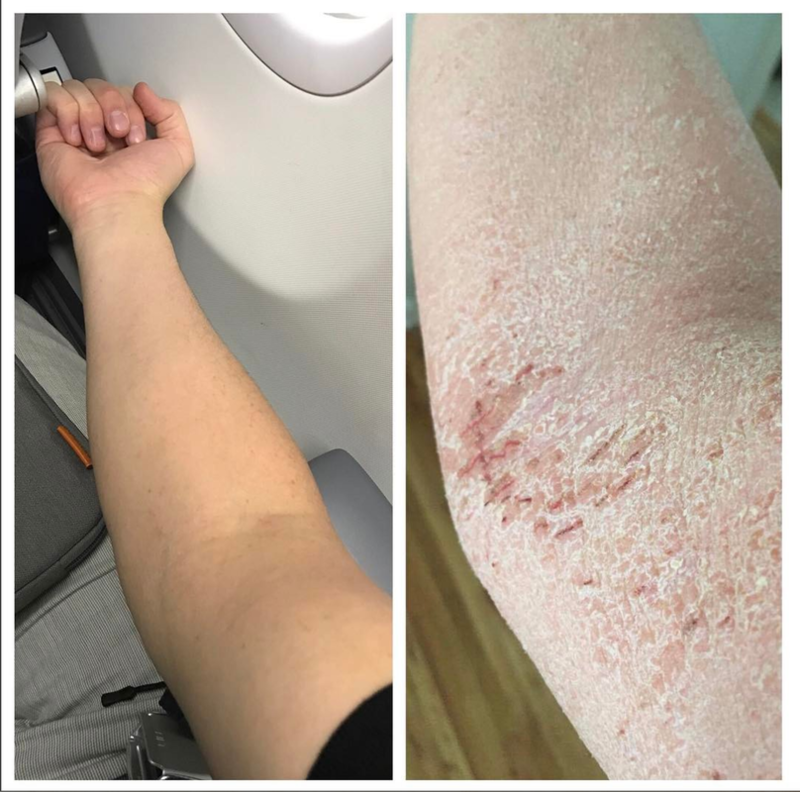 Dear friends – after my post about my #skin healing up from intense #eczema after withdrawing from the strongest #steroid creams available (clobetasol propionate ointment), I received numerous inquiries from people about the products/supplements/practices I used during this process that helped me the most. After probably 200+ hours of research (I lost track, but I would research for hours, daily, for months on end) during the most intense period of physical and emotional suffering I’ve ever experienced, I’ve narrowed down the list to products I think ACTUALLY helped during this process. I saw dermatologists, homeopaths, and naturopaths, and I tried so many things (and spent a ton of money trying out so many expensive supplements and seeing some of the country’s best specialists either in person or over skype…I’m guessing I spent $5000-$10,000 during this process) and most didn’t work. I completely understand that everyone’s body is so different, but hopefully this list will give you a good starting point to help ease your suffering if you’re going through something similar. This condition is commonly referred to as #TopicalSteroidWithdrawal or #TSW. Try to shower once every other day, or every 3 days. You can use a washcloth on the off-days to maintain good hygiene, but exposing all of your skin to water (which has a drying effect) only further exacerbated my eczema and prolonged the healing. I switched to Free and Clear Shampoo: http://amzn.to/2nOWMPJ. I also use this as a body wash. Every since I switched to this shampoo, I have never had any scalp itching or dandruff which I had on and off throughout my life. Minera Dead Sea Salt Baths – here’s a link to the salts: http://amzn.to/2oNOfBy . I recommend buying the 20 lb. bag to start (I bought a 2lb bag at first to try it, and it ran out after 2 or 3 baths). I put 3-4 cups in a warm full bath (try 2 cups in a half bath if you have a child wanting to try it) and stir it around until it dissolves. 1 cup isn’t enough to make a difference. I switched to bathing since I couldn’t shower during the first few months – it hurt too much. Your skin is all broken, on fire, and peeling. The dead sea is known for its healing properties. NUMEROUS people with psoriasis and eczema swear by these salts, and they greatly alleviated the itch for me. Most often I would not rinse off after the bath – just pat dry and put some moisturizer on afterwards before the skin completely dries. However, as my skin has healed, if I ever experience a minor flare, I will take a warm dead sea salt bath, then shower off, progressing from warm water to ice-cold water. I try to stay in the ice-cold water as long as I can bear. Even though it’s unpleasant, I feel amazing afterwards (there has been a lot of research on how cold showers can help your lymph system). I still moisturize after doing this, as the salts can have a drying effect on the skin, even though they greatly alleviate the itch. Vitamin B12 cream - http://amzn.to/2oU0vxj . I searched high and low for a moisturizer that didn’t make my skin itch worse. I spent hundreds of dollars trying basic ones, as well as fancy ones. I tried all sorts of oils – coconut, avocado, olive, jojoba, etc. None of them helps my skin like this cream does. Dry skin is harder to heal. BUT, if your moisturizer makes you itch more, you will end up doing more damage to your skin which also prevents healing. Make sure to put this on right after you pat dry after you bathe or shower before your skin completely dries for maximum effect. Sudocrem Healing Cream- http://amzn.to/2oq5nue (occasionally Amazon stops carrying this, then will restock it...you might have to find it on another site). This product did not work for me, but it has worked extremely well for my nephew and his eczema. He takes a Dead Sea Salt Bath, then uses baby lotion, then slathers this on top of the lotion, and my brother has said it has healed his son’s skin (note: he never used steroid creams, so this may be why he healed so quickly). This cream is on a lot of eczema forums, especially for those who suffer with TSW. It is very inexpensive – about $10 – and is packed with zinc which is very good for those with eczema. Calcium D-Glucarate - http://amzn.to/2nGMAxL . I read that this helps to eliminate excess steroid hormones and toxins in the body, and thought I’d give it a try. I feel like out of the 50 or so supplements I tried, this was one that actually helped a lot! This is a high-quality brand of this supplement, and has received really good reviews across the board. A very respected naturopath that I consulted with over skype (very expensive sessions, but brilliant guy…Dr. John Thomas) loved this brand, and I’m glad I tried it. L-glutamine - http://amzn.to/2nGIZzC . This is very helpful in healing the gut, which in turns helps eczema. I don’t know if it will speed up the #TSW process dramatically, but I tried it nonetheless and felt like it helped. It is a very inexpensive supplement. It is tasteless. When I was at my worst stage, I made homemade bone broth in a slow cooker and mixed a tablespoon of this into the broth. You can google “homemade bone broth” and many different recipes will show up. Whichever recipe you choose, I would highly recommend that you make it in a slow cooker or CrockPot for 24 hours on low, not 8 hours like some of them recommend. The longer cook time allows all of the marrow to cook into the broth. It’s one of the healthiest foods for healing the gut, and I find it to be quite delicious. You can also make soups out of it by adding veggies and/or meat. (You can also use this for weight loss...it is very filling and has a ton of protein in it!). I generally like to pour it into a container and let it cool in the fridge overnight - a layer of white, hardened residue will form at the top. I crack it an take it out, and the broth is much more palatable. Without doing this, it can taste like you're drinking straight grease. Bob’s Red Mill Baking Soda - http://amzn.to/2qoeLih. I highly recommend using a pure brand of baking soda like Bob’s Red Mill, and not the cheaper Arm and Hammer or generic brand you find at the store (you can google why…I read a couple of articles on it and how some baking soda is refined…I didn’t want to risk it for only a few dollars in savings). Part of the battle with eczema can be balancing the pH of your body. Baking soda is extremely alkaline, and thus you must be careful when taking it, and do your own research before doing so. I read on an eczema forum that a girl’s eczema was GREATLY alleviated by taking up to 4 tablespoons of this per day. I never dared take that much, as a new set of problems can arise if your body becomes too alkaline. However, each night before bed I would mix anywhere from 1 teaspoon to 1 tablespoon of this into a glass of water, along with a tablespoon of L-glutamine. I definitely noticed a positive difference. In addition to these supplements, I noticed that cutting out soda, eating healthier, and exercise in small amounts definitely helped speed up the process of healing. Also, try to regulate body temperature as much as possible. I liked to keep my house at 72 degrees Farenheit. Heat is a big trigger for my eczema. Even to this day, with my eczema pretty much gone (I’ll have occasional tiny spots that flare up) I still notice when I do heavy workouts and sweat a lot, or am outside in the sun for long periods of time and sweat a lot, that I will get very itchy until I cool back down. I avoided sweating as much as possible when working out in the early stages, because sweat would cause my skin to burn unbearably. I mostly switched to a few sets of heavy weight exercises, rather than long cardio sessions. Try to cut out as much sugar as possible without going crazy, as sugar can feed yeast in the body which can lead to more itching. Sugar also makes the body more acidic, which can also lead to more itching. I actually lost 20 pounds in 3 months due to the extreme nature of the diet I tried (I went from 190 lbs to 170 lbs. At 170, I actually felt quite weak. I find that I feel best around 175-180 lbs). At night, I slept best when I used a breathable blanket that wouldn’t get too hot. All of this sounds extremely nit-picky, and I realize that some of it is. However, these are the steps that actually worked for me. These 8 supplements and other things I’ve listed above really did help me through this horrible trial of quitting steroid creams and the backlash my body gave me when doing so. I haven’t listed the other 100+ things I tried that didn’t work, but don’t be afraid to deviate from this list. Do your own research, as everyone is different and reacts differently to certain foods and supplements. It is my sincere hope that something, even one thing, in this article can be helpful to you, or anyone you know, who is struggling with eczema. People who don’t have eczema don’t understand this terrible condition, how it can be all-consuming and the only thing you think about when you’re in a flare-up. Going through this process has increased my self-awareness, taught me patience, and increased my gratitude to God and to my body for the gift of healing. I wish each of you success in your journey of #healing. (note: I am not a medical professional, and this is not medical advice and should not be taken as such. I have not been paid by any of the makers of these products to write this article…it is solely educational and a documentation of my own personal experience…I hope it can help). It's okay to have off-days. No matter how terrible or wonderful you think you are, you're human. Our society loves putting labels on things, and we certainly have favoritism at the forefront of our culture. When I was younger, I was a huge fan of Tiger Woods (pre-adulterous days....or pre-i/we-knew-about-the-adulterous-days-...-days). Even after the adultery, I'm still a fan of his in regard to his work ethic and skill set. He won more major championships at a young age than anyone in history, and is still only second to Jack Nicklaus. Even after all of those wins, who was I rooting for every tournament? Tiger. Lots of people root for the underdog, but I wanted the guy on top to keep winning. Why? Well, I'd read his book, "How I Play Golf". It's an amazing book, no matter how good or bad you are at golf. He was my golf guide. I had studied his swing, so to see it in action every tournament I watched just ingrained my admiration for his skills deeper and deeper. But, look at Tiger now. What a loser right? I mean, when's the last time he won a tournament? He's rebuilding his swing again? Wait, another injury? Give me a break. These kinds of thoughts go through so many people's minds. Why? I think it's our superhero-obsessed society being totally disappointed in a previous superstar. But, there's something so wrong with that. Does the fact that Tiger is losing now make his previous accomplishments any less great? I firmly believe we must continue to push ourselves, even at a feverish pace, day after day, always improving, always striving, always determined to be better. That's how we measure up, that's what we can feel good about, that's what we live for. So, when we have an off day, even if it's at the most inconvenient time, forgive yourself. I recently performed Totentanz by Franz Liszt in Montana with the Great Falls Symphony. It went pretty well, but I had 5 or 6 completely idiotic slips that had never happened before, and they were on easy parts (well, easy for Totentanz). I felt like I played the hardest parts as well as I ever had, which only added to my frustration. The run through 40 minutes before had gone perfectly. The rehearsals the previous two days were absent of such stupidity. Why did it have to happen at that moment? My nerves were under control. I was prepared. I had worked like crazy to make sure this was as good as it could be. So why did it crumble in a few places? I've thought a lot about it. It wasn't lack of preparation. And to be honest, it probably was nerves, maybe suppressed nerves because I was totally calm on stage, but it sure didn't feel like nerves. I'm just going to call it what it was - an off-day, or an off-performance. And that's it. I move on. I don't obsess (well, besides this post, and my next YouTube video, and THEN I'll be done obsessing) because obsessing over mistakes is pointless. If you make a mistake, move on. As much as I hate to admit it, I'm going to screw up on stage many more times throughout my life. But, I'm also going to have a lot of incredible opportunities to perform, and I'm positive that the vast majority of those will go well. My mom has always had a good way of looking at performance anxiety and mistakes. "About how many notes are in that piece?" "No idea, maybe 10,000? Totally rough estimate" "Okay, and out of 10,000 how many did you miss?" "Well, I was so stupid, and I messed up in like 5 or 6 places like a total moron. How could I have done that? I mean... [insert whining here]" "And how many notes were in those 5 or 6 places?" "I don't know, maybe 10 or 20". Even the most brilliant minds around would admit that a 1/1000th, or a .001 margin of error is pretty good, in any field of study. Off-days happen. Money is a medium that can be used for good and evil. If you're reading this, you need most likely need money, because you need to pay someone for internet service. Money is one of the hottest topics in society. Some people think those who have a lot of it are evil. Some people think those who have a lot of it are successful. Some people think those who have little are lazy. While every one of those statements could be true, they're not universal by any means, and they are beside the point. Money is simply a medium. It is necessary for survival in today's society, but beyond covering your necessities, money is simply a game, and this is where it gets interesting. Why do you work? You may love your work. You may just need the money. You may not need the money. You may hate your work. I recently had the blessing of having too much work (teaching too many students, a work which I love). It was robbing me of a lot of my practice time. Performance is my greatest passion, and my music is one of the ways I define myself, and it certainly defines my teaching style and abilities. I was finding that taking on just one more student, then another, then one more was easy. But, after awhile, finding even an hour or two to practice each day, to develop the skills and make new discoveries that makes me a quality teacher in the first place, was getting more and more scarce. More work means more money, but does it really mean more happiness? Covering the necessities is important. Having a little surplus is nice. But allowing money to rob you of what really matters must be avoided at all costs. Often we miss so many opportunities in life because we are too fearful to start. There is wisdom in waiting for the right time if something requires it, as stated in a previous blog post. However, many things in life are not on a deadline, except the deadline of missed opportunity, and we must seize on each situation that presents a possible favorable outcome. The web of decisions and consequences in life is too daunting to try to comprehend wholly. Rather, live and love fearlessly, one decision at a time, one step at a time. One of my favorite scriptures says the following, "By small and simple things are great things brought to pass." When you are building your credibility as an artist, or a professional in any field, you will at first take almost any opportunity that comes your way. Then, as your schedule expands, your time dwindles, and you achieve a higher "status" or "profile", you may start to turn down certain gigs. Perhaps they don't pay you anything, or the fee is very minimal. Maybe the crowd is too small. Maybe they're asking you to do something that doesn't align with your style or brand. I can respect all of those things, and very often they are necessary. However, I recently learned a wonderful lesson from the notion that "no opportunity is too small." A few years ago, I was quite busy with concerts, teaching, and school. My debut album with Shadow Mountain Records had just hit #1 on the Billboard Classical Traditional chart, and opportunities to perform were plentiful. At the time, I was asked to give a workshop at a local music store. They asked me to speak on one of my favorite topics - how to market yourself as a musician. They said I would get to keep all of the ticket revenue. They said their numbers at previous events had been scarce. I was thinking maybe 20-30 people meant "scarce". Well, four people ended up coming. So I think I made a whopping $20 or so for all of the preparation I put into this one hour lecture, sharing some of the most valuable wisdom my parents and I had paid thousands of dollars and thousands of hours to accumulate. Of those four people, one of them was a a seventeen year-old girl and her mom, who later became one of my favorite students I've ever taught. I helped her prepare for her college audition at the University of Utah for her undergraduate work, and she went on to receive a generous piano scholarship and study with my former teacher while earning her bachelors degree. As an added bonus, I was just hired on at the University of Utah, and will be teaching this same girl - who is now in her masters program - this coming semester. Three days ago I got a text from a woman that said, "I'm not sure if you remember me, but many years ago, I was one of the people in attendance at the lecture you gave at a local music store. We'd like to hire you to come and play at our annual workshop for our teen group. My friend and I were both in attendance and we would love to have you also give a lecture to inspire our young students." Are you kidding me? That's a 100% success rate!! Granted, there were four people there, but two amazing opportunities came from it. I was able to help change this incredible young woman's life in helping her prepare for a career in music, and now I again have the opportunity to hopefully inspire more young musicians. I say none of this to boast, because I firmly believe that God places each of us in unique situations, of which we often do not know the outcome or impact. I only say this to reinforce the critical lesson of never allowing arrogance to have a place in our hearts. I'm no better than you, and you're no better than me. We are equal, and must use the talents and gifts we've been given wisely, which may often prevent us from seizing every opportunity. However, when we have the time, we should always take each opportunity afforded to us to bless, enrich, and inspire others, no matter how small the gig might be, for we have no idea what rich rewards may manifest at a later date. I was talking to a wise friend the other day, also a musician (and a marketing genius), and he gave me some insight that I won't soon forget. "When you have something of real value, of real worth, don't just throw it out there. Plan, strategize, and release the material at the best time possible. If necessary, make people wait for it." I've always been one to start, to get going immediately, but this advice has caused me to reflect a lot on the success of certain projects, and the lack of it with others. Waiting for the right time, with any situation in life, can mean the difference between success and failure.